ST. GEORGE — The nip is in the air and it won’t be long before bells of Christmas are jingling, ushering in the holiday giving spirit of KONY’s Coins for Kids annual fundraiser. Volunteers will be needed starting Dec. 18 for shopping, followed the next day by wrapping and finally, delivery of the gifts on Dec. 20. For nearly three decades Coins for Kids, a local nonprofit charitable organization, has been providing toys and Christmas presents for hundreds of less fortunate children and families. It relies solely on donations from individuals and private companies, and any administrative work associated with the charity is done by a gracious network volunteers. Coins for Kids president Carl Lamar said everyone that gets involved is overwhelmed by the holiday spirit they feel, regardless of the stage of the process – from shopping for the gifts to wrapping them or delivering them. 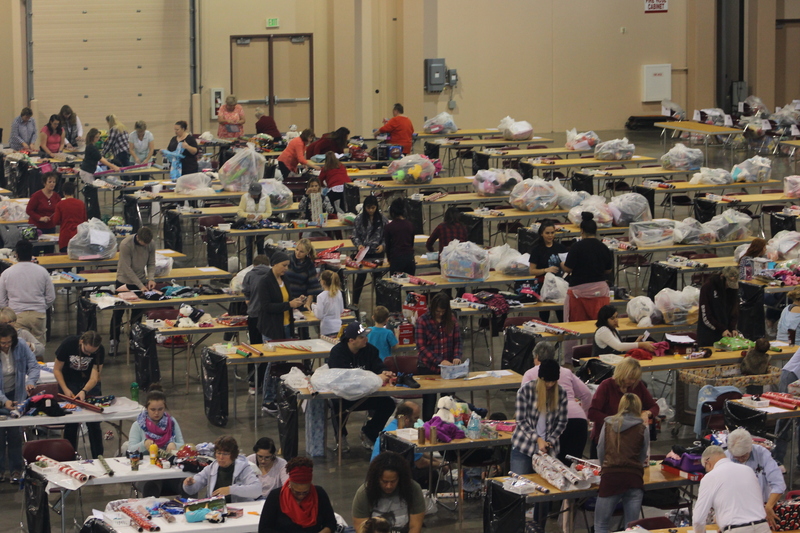 He said it is amazing to see the Christmas cheer on display at the Dixie Center St. George wrapping event each year. The program will begin accepting applications for holiday assistance on Nov. 26 and continue through Nov. 30. Unfortunately, no applications can be accepted after Nov. 30, but volunteers and donations are welcome any time. Lamar said everyone that becomes involved cannot help enjoying the experience of volunteer service and feeling good about what the program accomplishes. Last year alone, they were able to help 1800 kids in 637 different families. “They love doing it and they keep coming back every year,” he said. All donations are completely tax deductible, and the organization’s goal this year is to raise $125,000. Only needy children ages 1-17 of the St. George and immediate surrounding areas are eligible, including Washington City, Santa Clara, Ivins, Leeds, Hurricane, La Verkin, Toquerville, Central, Veyo, Enterprise and municipalities located within. Families that have received gifts for three years or more through this program during the last nine years will not be eligible. Applications for assistance for children will be accepted only with a written and signed recommendation from the school counselors where the children attend, your clergy leader or from any of the several participating social service agencies. Photo ID and proof of residency in Washington County. If the ID does not show your current address, you will need to show proof of residency such as a utility bill, insurance bill, or bank statement. Children’s birth certificates of each child showing linkage to parents. Court documents if child is in the custody of someone other than a parent. Only one application per family will be accepted. Intentional duplicate applications or intent to defraud the charity will cause elimination from the program. All applications will be given to one of the participating organizations. Do not apply anywhere else, as duplicate applications will eliminate your family from all programs. Additionally, in order to receive a food basket you must apply in person at Switchpoint Community Resource Center at 948 N. 1300 West, St. George or call 435-628-9310. The type of gifts will vary depending on the organization to which your application is given. Because Coins for Kids depends on community support, some people may receive different amounts and types of items. With a limited budget, they will not be able to provide computers, roller blades, bikes, stereos, electronic games and other expensive items for children, and parents are asked to please keep this in mind when filling out their children’s Christmas list. While gifts may be exchanged after Christmas for size and color, they may not be redeemed for cash. Deliveries of the gifts will be made only to the home where the children reside. Parents and their children are required to be at home at the time of delivery; there will be no repeat deliveries due to the many other stops that need to be made. If applicants move before Dec. 10, they are asked to please call 435-634-6210 with their new address. Make a donation of cash or new, unwrapped toys. Drop your change in one of the many “Coins for Kids” boxes already located throughout the county. Adopt a family, volunteer to shop and wrap the presents to the children. Sponsor an Angel tree in your place of work. Instead of exchanging gifts at your upcoming Christmas party, donate that amount of money to Coins for Kids. 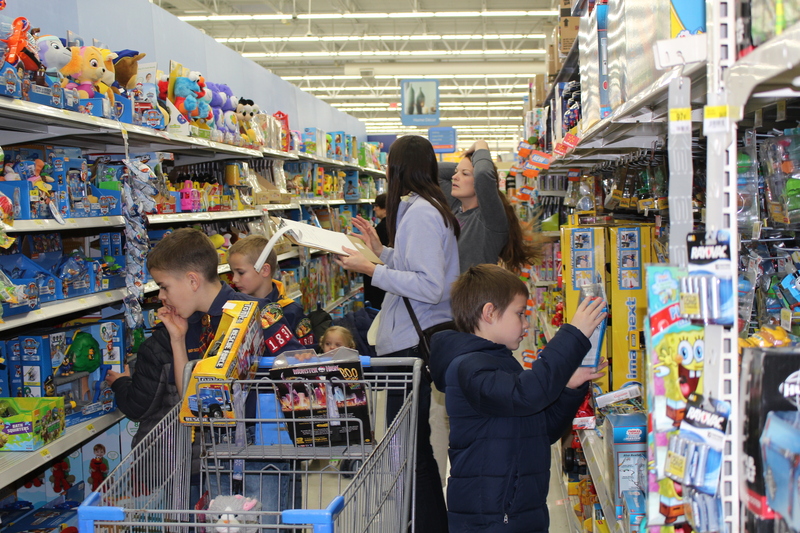 Hundreds of shoppers are needed Dec. 18, from 5 p.m until close at the Bloomington Walmart located at 2610 Pioneer Road. Even young children are welcome to come help their parents, and Coins For Kids coordinators will be on hand to explain the shopping process and answer any questions. There is no need to sign up in advance, just plan on showing up to help and have a great time. 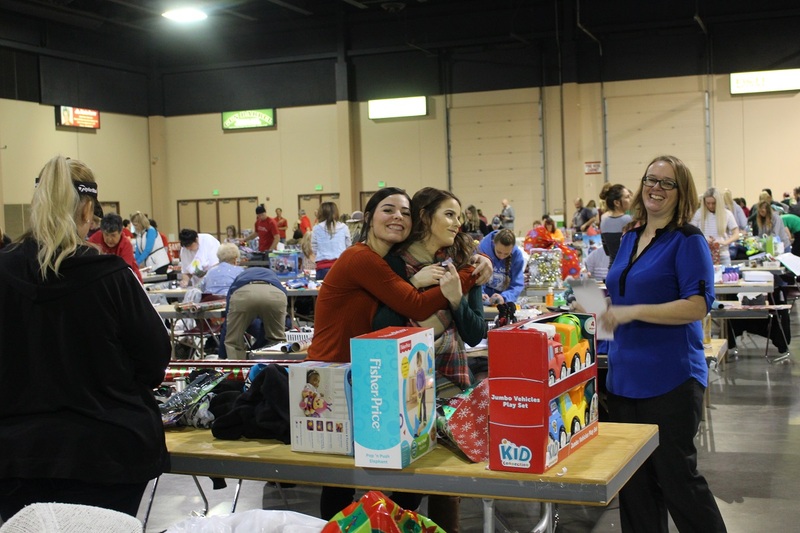 The wrapping party begins at 8 a.m. on Dec. 19 at the Dixie Center St. George at 1835 S. Convention Center Drive and will continue until the last gift gets fitted with a bow. Donations of wrapping tape, scissors, clipboards, name tags and ribbons are welcome; however, volunteers are not required to bring anything except a steady hand and an open heart. It takes an army of Santa Clauses and elves to organize and deliver all the gifts to the children at home. Volunteers are always needed and can use their own suits, or Coins for Kids has some available for rent with a small deposit. Anyone wishing to participate as Santa or an elf needs to register in advance by calling Hal Halford at 435-673-8215. 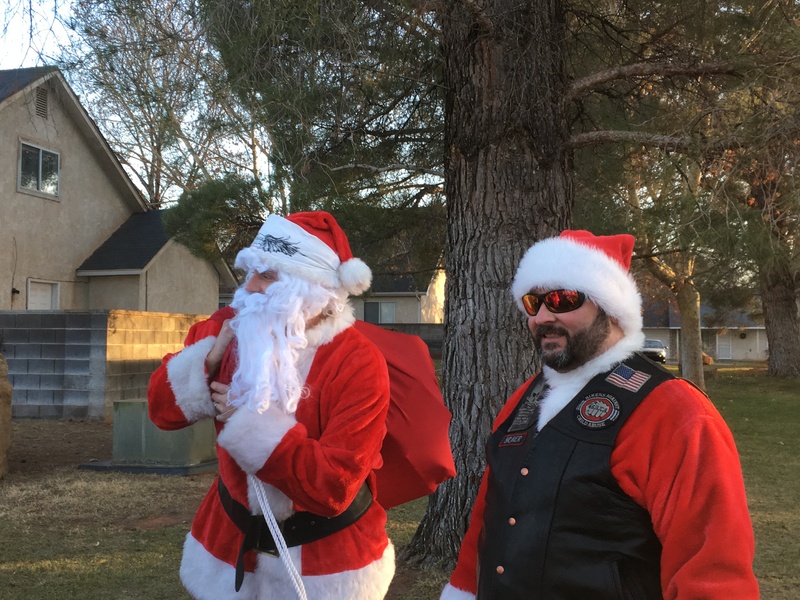 Deliveries will be made on Dec. 20 starting at 4 p.m., and Coins for Kids can always use additional Santa’s helpers with vans or pickup trucks. This wonderful holiday tradition is dependent upon charitable contributions from our community. Donations can be made or families adopted inside the Canyon Media offices at 3143 S. 840 East Suite 100, St. George. More information on Coins for Kids can be found on their website and Facebook page. Every year volunteers share how grateful they are for being able to experience the true meaning of Christmas. Come and experience the joy of Christmas spirit and put a smile on a lot of little faces – including your own.